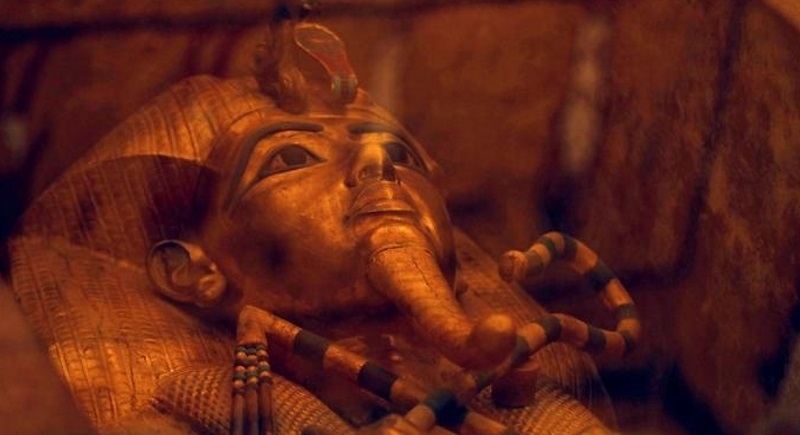 Luxor, Egypt, Feb 1: After almost a decade, a team of international experts on Thursday revealed the results of their meticulous work to preserve the tomb of Egypt’s legendary Pharaoh Tutankhamun. The 3,000-year-old tomb of the young pharaoh was found in 1922 and had been showing the effects of humidity, dust and tourist visits. A 25-member team started work in 2009 and has revealed the results. Researchers had been apprehensive that moisture and carbon dioxide from tourists' breath was causing brown spots to spread on the surface of paintings in the burial chamber. The team brought in specialist equipment to analyze marks on the murals which turned out to be long dead microbiological organisms, and which proved impossible to remove. Nearly a victim of his own fame, long years of mass tourism had left their mark on the boy king’s burial place near Luxor the east bank of the Nile River. It is the only tomb dating from the New Kingdom or Egyptian Empire, which ruled Egypt for five centuries from the 16th century BC to the 11th century BC. Tutankhamun is believed to have died aged 18 in 1323 BC. For many, King Tut embodies ancient Egypt’s glory, because his tomb was packed with the glittering wealth of the 18th Dynasty, which ruled from 1569 to 1315 B.C. There has to be a high level of good management, maintenance, and care of the tomb in the future," said Neville Agnew, the project's leader. "It's still being used for visitors and benefiting educationally and financially, the Egyptians and the world community." A new viewing platform for visitors has been built and a ventilation system installed to limit the effects of carbon dioxide, moisture, and dust.